With Fortnite Season 5 starting soon the creators are again leaving cryptic clues everywhere to keep everyone wondering what will be coming next. After a failed rocket launch left a giant crack in the sky, it has slowly been getting bigger each day. It will most probably continue getting bigger until Season 5 begins but even stranger things have started happening. Objects on the map have mysteriously been disappearing and other objects have done the opposite and stangely appeared out of nowhere. But here's the even stranger thing, the objects that have disappeared out of the game, one has appeared in the middle of the desert in the real world. 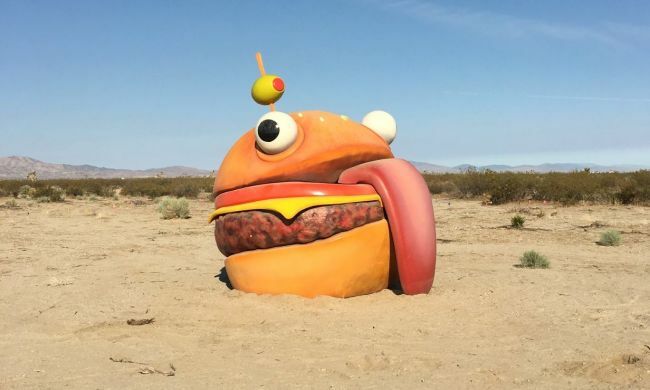 Recently the Durr Burger from the game was found out in Palmdale, California in the middle of nowhere. The internet is overflowing with theories about what Season 5 has in store for us, but we'll have to wait until July 12th to see for sure. After months of teasers and updates about a new open world area on Venus, Digital Extremes has unveiled Fortuna, the next expansion of its free-to-play powerhouse Warframe.